Disabled veteran with bad PTSD is in need of your assistance. 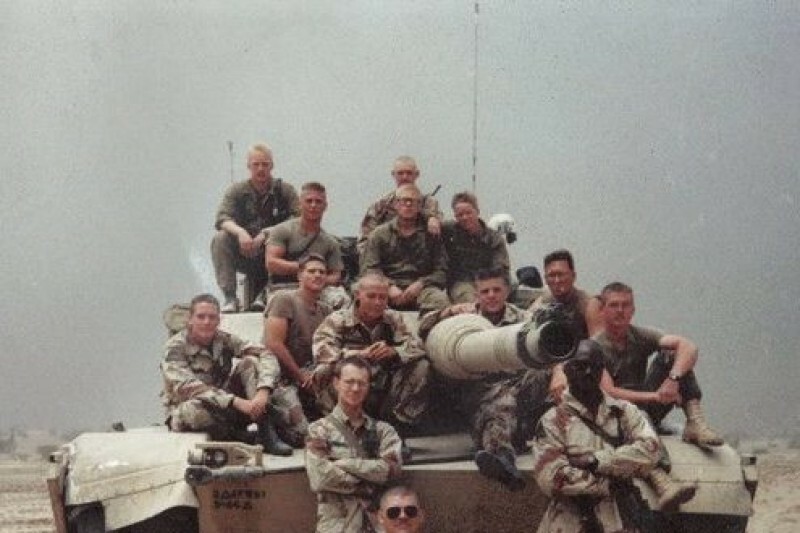 Richard Quinn, an Army veteran became disabled while serving in the military in the Army. He was involved in the Battle of Norfolk and 73 Eastlin one of the largest and most fierce tank battles of the century. Ricks Company lost some men that night. War took its toll on Rick and he has been suffering from PTSD, panic attacks, terrible nightmares, numbness, fear, anxiety and on and off anger issues. Also while serving Rick was stabbed in the chest where the knife just missed his lung. This further added to Rick’s mental disorders, trust issues and his symptoms. It is almost impossible for Rick to be in public places without having triggers, anxiety, hypervigilance and panic attacks unless he is medicated. Rick has been struggling with this for many years. Just recently, on Veterans Day, Rick suffered from a panic attack while out with his family that was so bad, he was sick for the entire night. Rick helps disabled combat veterans now and does so much for everyone except himself when it comes to fundraising for veterans, children and animals. He is always going out of his way to help everyone else. Rick is back obtaining his Master’s Degree in psychology so he can help combat disabled veterans as well as troubled youth. So Rick is always giving his time, money and experiences to help others. We need your help now. We have finally found a service dog or Rick to get that is 14 months old and considered green trained and is at the perfect age for Rick to get and start working with so he can have the help he needs. He is getting a Belgium Malinois named Chief. The breeder was kind enough to discount the dog by 50% for Rick. The dog normally costs about 7,000.00 and the breeder is selling him to us for 3500.00. We have to get him on or before Thanksgiving. We are reaching out to ask for your help and donation so Rick can obtain the dog and start to live life again in public with his family. We thank you for your assistance and this will help my husband finally be able to walk into a store feeling confident as well as have someone there to help Rick when he is having terrible nightmares. This would mean a world of difference for Rick and his quality of life. Our goal is 3500.00 before Thanksgiving so we can surprise Rick with his new battle buddy. Thank you so much. Time is crucial here or we could lose the dog and this opportunity after years of searching or the right dog. 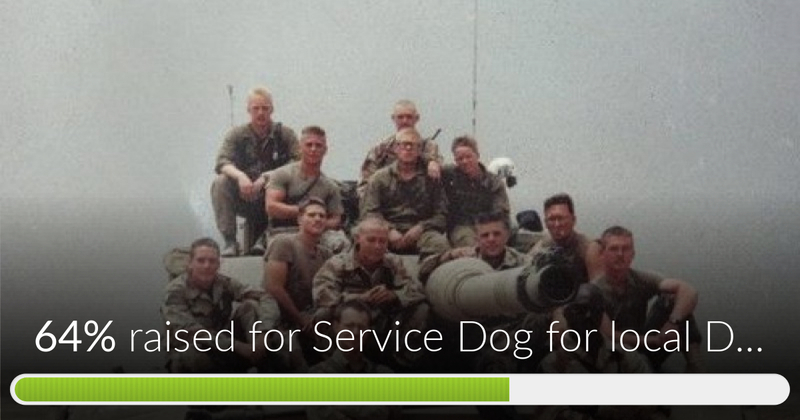 Service Dog for local Disabled Vet has reached 64% of its goal. Thanks to Lisa, GREG and Ken. I also set up a PayPal account for anyone who doesn't want to use the go fund me. Please PM me if you would prefer to donate that way. We are getting close everyone. Thank you so much. Much love! So what became of this fundraiser? Do you have what you need to get this service dog for this hero?